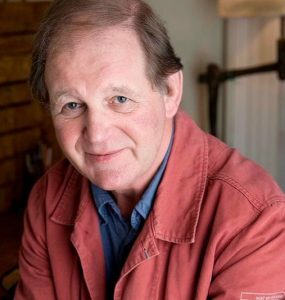 Sir Michael Morpurgo Loves Storytime! However, as accolades go, we are absolutely over the moon to have an almost royal seal of approval from former children’s laureate and recently knighted children’s author Sir Michael Morpurgo, no less. We’re huge fans of his books and his ability to transport young readers to vivid, challenging and wonderful new worlds is impressive. As we operate Storytime as a social enterprise, we also greatly admire the amazing work he has done for charities. He is a truly inspiring man, so to have his support and approval means the world to our little team. We believe this too and, since we’ve launched, we’ve seen how Storytime has stoked a passion for reading in young children from all kinds of backgrounds in the UK and far beyond. We’ve also seen how it has turned reluctant readers into keen ones – at home and in schools. We love books, but magazines are also a brilliant, bite-sized introduction to reading for children who might feel overwhelmed by a book – and Storytime, in particular, represents great value, in that it costs less than a book, but delivers seven or eight stories and poems in every issue. Ideal for circle time at school or bedtime at home. We are so pleased that Michael Morpurgo loves Storytime and that he recognises the valuable role magazines play in encouraging children to read – and our part in inspiring children to have a lifelong love of stories. If you would like to join our growing army of Storytime readers, as approved by children’s literature royalty, make sure you subscribe today!